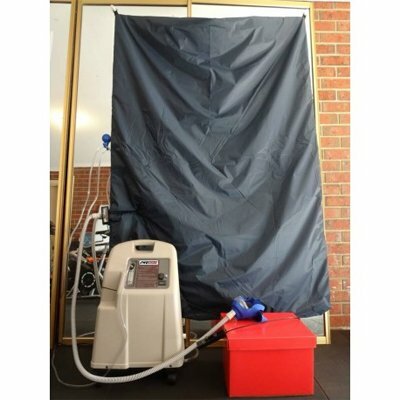 EWOT Energy utilizes the the rich, pure oxygen settings of the EWOT Australia system to assist with enhanced oxygenation of the entire body. This protocol is most effective for people with limited exercise capacity, for those seeking the energizing effects of EWOT, and for those who wish to enhance rehabilitation for injuries or illnesses. EWOT energy opens the fine capillaries, allowing oxygen rich blood to reach deep within your tissues. It also oxygenates the blood serum, which has an oxygenation effect on the “white” (bloodless) tissue of the body. EWOT Energy also captures the low oxygen air that is normally expelled into the atmosphere during the process that delivers the pure oxygen into the reservoir bag. This gets stored in a separate compartment inside the dust cover of the reservoir bag. Using a switching mechanism you can switch from nearly pure oxygen to a low density of oxygen that is equivalent to around 14,000ft of altitude (roughly 3,500 mtrs). This is called “contrast training”. Use EWOT Energy for up to 15 minutes at a time. You may begin with just one session per week, depending upon your current physical capacity. Many people feel the greatest benefit with daily sessions. Begin with the lowest level of exercise that is suitable to you. For some, this may mean beginning with just 5 minutes of pure oxygen while sitting or laying. For the greatest benefits some kind of movement is best. Use a recumbent bicycle, or an arm crank, or even just marching on the spot. Your EWOT Energy comes with the capacity for “contrast training” and ee give you instructions on how to execute a “contrast training” session. Typically, you do a sprint or maximum effort “at altitude”, then recover with “high oxygen” for various lengths of time (which may depend upon your starting fitness, health, or capacity). For most people, even though this workout is tough, especially after a “regular” hard workout, the protocol gives surprising recovery from training and a highly energizing feeling! Do not over-exert yourself in early sessions. Remember, do not begin any kind of change to your exercise level without consulting your medical practitioner, particularly if you have been sedentary for some time. Your purchase includes information on how to use EWOT effectively. EWOT Energy product comes with a 10 L/minute Oxygen Concentrator that runs off a normal 240v power point, a large oxygen reservoir bag that includes a low oxygen section and a switching mechanism so that you can switch from high to low oxygen easily, a finger oximeter/pulsemeter, a high flow mask and tubing to bring the oxygen from the reservoir bag to the mask. (You need to supply the workout equipment). 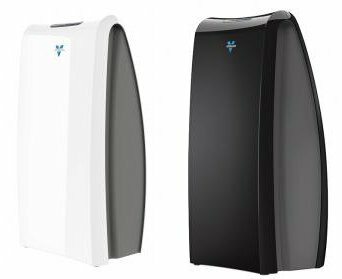 The Oxygen Concentrator removes the nitrogen and other gases from normal air, pumping the deoxygenated air into a low oxygen reservoir, or out into the atmosphere when this is full, and the pure oxygen into the main reservoir. The standard reservoir holds about 1000L of oxygen at over 95% purity. This is enough reserve for most people to maintain near maximum effort heart rates and breathing rates for around 15 minutes without compromising their breathing capacity. 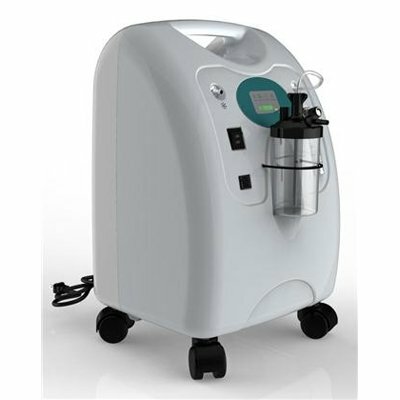 The oxygen concentrator does not use a lot of electricity and is manufactured to concentrate oxygen 24 hours a day, 7 days a week, 365 days a year (you won’t need to run it for more than about 1.5 hrs to fill the reservoir), so the machine is very reliable, quiet to run, and easy to use. Your purchase includes full set up instructions. The Reservoir Bag comes in several sizes. The standard size (of around 1000L capacity) is supplied as standard with this package (if you believe you may need a larger reservoir please inquire prior to purchase). It is made with a medical grade polyurethane interior (no plasticizers that give off chemicals) with a nylon dust cover. Only dry oxygen goes into the bag so it does not require internal maintenance or cleaning. The EWOT Energy bag also has a low oxygen reservoir inside the dust cover that holds deoxygenated air to simulate altitude training. There is a switching mechanism that allows you to easily switch from high oxygen to low oxygen as you are working out. The bag is typically hung from the wall or any handy frame work close by to your workout station. The Finger Oximeter measures your blood oxygen level and your heart rate. We give you instructions on how to use this in your purchase, but essentially you want to to a rise in heart rate with your increase in exercise effort (remember to begin slowly! ), as well as a rise in your blood oxygen level. The finger oximeter works by light! If you hold a torch up to your finger in a dark room you can almost see thorough your finger! Using this principle, the oximeter can read the blood pulsing through your finger tip for your heart rate as well as measure (quite accurately) the amount of oxygen in your blood. The EWOT Energy has very simple plumbing – a tube from the oxygen concentrator to the reservoir bag and a tube from the bag to your mask. You breath in from the oxygen in the reservoir bag and you breath out into the atmosphere. These tubes are also medical grade materials that do not leach plastics. The EWOT Energy, standard package, is $5999 plus GST, for a total price of $6594.50, plus shipping and handling. We charge a standard rate of $100 throughout Australia, which is calculated at the checkout.